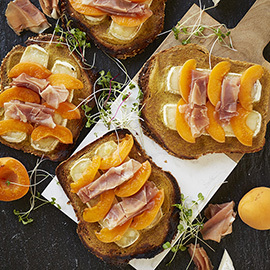 For years ordinary toasters have gone virtually unnoticed in the corners of kitchen counters. 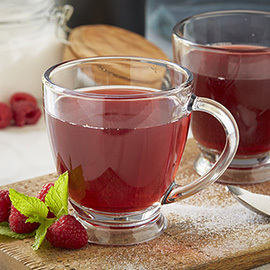 Those days are over with the RUSSELL HOBBS® 2-Slice Glass Accent Long Toaster. With its extended design featuring black glass accents, you'll want to prominently display this elegant toaster. 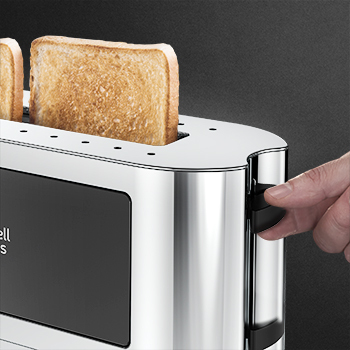 Luxurious, simple styling meets modern performance for premium toasting performance. The variable browning control ranges from 1 (light) to 6 (dark) to satisfy all preferences. 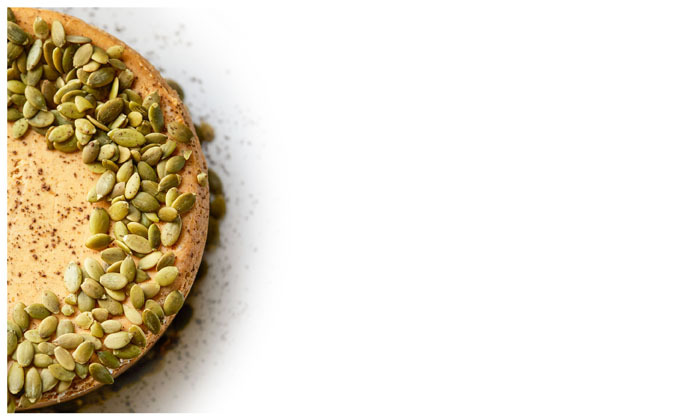 Choose the Bagel function for a perfectly toasted cut side with a warmed bottom side or the Frozen setting for fresh-like results. 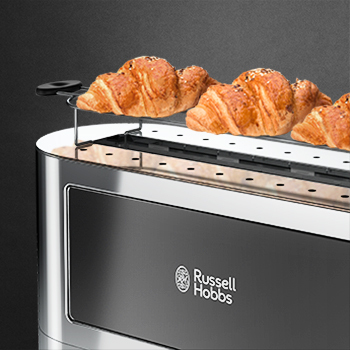 This toaster comes with a removable warming rack that quickly heats buns, pastries, and rolls. 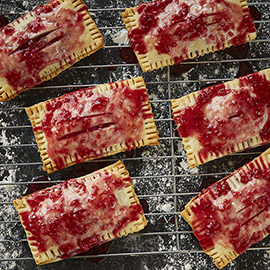 Plus, the removable crumb tray ensures easy cleanup. 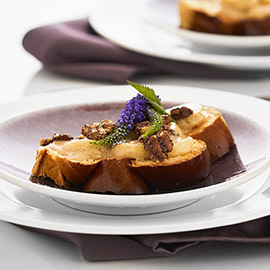 The extended design occupies a narrow spot on your countertop, allowing for easy toasting of long cuts of bread and side-by-side toasting of smaller slices. Simplicity is the key to elegant design. This toaster features smooth edges with sleek glass panel accents, offering a luxurious, understated aesthetic. The Glass Accent Toaster is backed by a 2-year limited warranty. Monitor the progress of toasting without canceling the heating cycle. 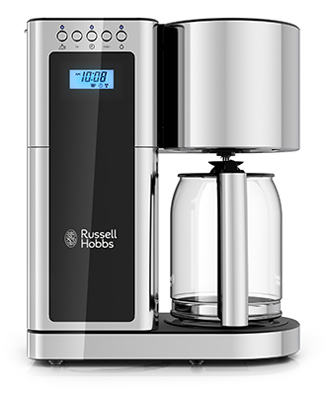 Beautiful and strong, the premium RUSSELL HOBBS® Black Glass Accent 8-Cup* Coffeemaker makes for an eye-catching attraction in your kitchen. Rated 5 out of 5 by ACG5 from Perfect Toast Not only does it make great toast but it is so stylish and looks great on counter. Rated 5 out of 5 by judi from Exactly what I wanted I have been looking for a long time for a toaster of this kind. It's long, not wide. I have a particular place where it has to fit and it fits nicely. 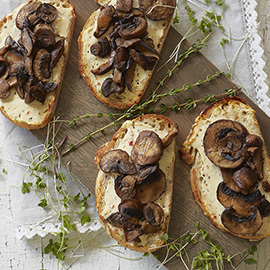 It's also excellent in the way it toasts, quick and without getting hot. Rated 5 out of 5 by islandsooz from Great toaster! This toaster does exactly what a toaster should do..it toasts both sides evenly and equally. It is easy to use, and is very attractive. This shape toaster is perfect, it seems to take up less space. I was so glad to find this specific toaster because of its shape, and very happy to once again have a Russell Hobbs. There is no other toaster that can compete with this one. Rated 5 out of 5 by Pierre from as advertised Works good, does what the manufacturer said it would do. Rated 5 out of 5 by Rod69 from A Functional 2 slice Toaster that Toasts Evenly We decided to purchase this toaster after reading the many dismal reviews for all the 2 slice toasters. Since almost all of the toasters are manufactured in China, we were very leery of them. 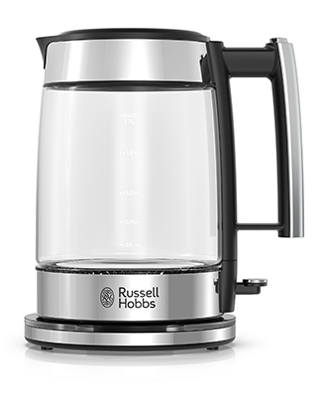 We finally decided on the The Russell Hobbs( an original British Company) 2-Slice Stainless Steel Glass Accent Long Toaster, with silver accents. Bingo, a beautiful/functional/modern toaster that was not over engineered. This replaces a Cuisinart toaster that finally died after being a below average toaster like most reviews revealed. The toaster has push button controls that are simple and easy to use. This is a unique 2 slice toaster with the slots placed end-to-end. 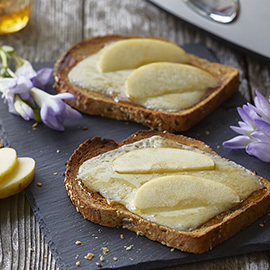 We consistently get even toasting whether we toast homemade wheat bread or buns. The warming rack is also very functional. Overall this is a great toaster that gives wonderful toast every time. We are very impressed with this toaster. Rated 5 out of 5 by Mike from Beautiful! It works. All i use it for is to toast toast and it does it well. 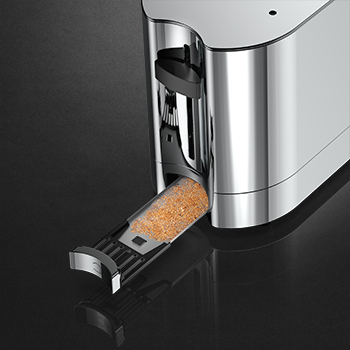 It has some extra features like being able to slide the toast up to see it, without shutting off the heating coils. I tossed the warming rack on top. Overall, it looks sleek and modern, which is what I like.